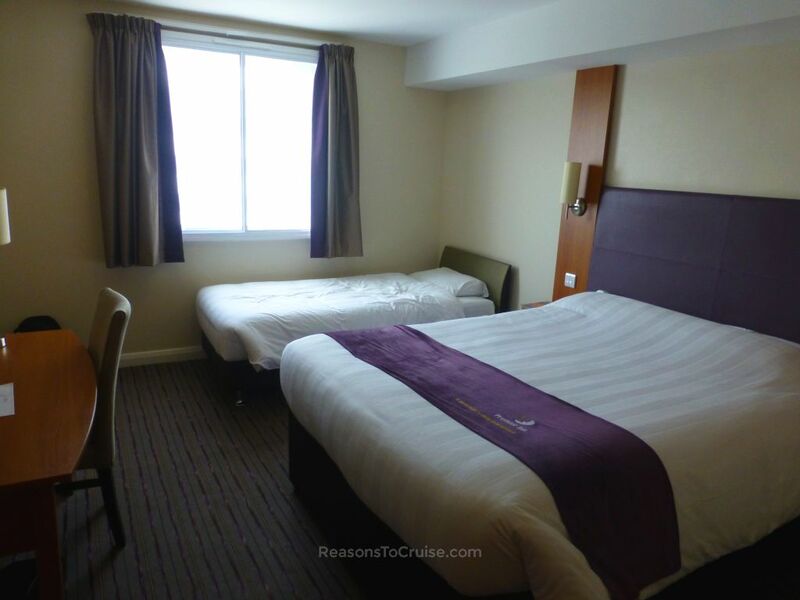 Despite its status as the cruise capital of the UK, Southampton lacks good quality, affordable hotels. It does at least have a variety to choose from, catering to all tastes - although some charge an extraordinary amount, especially when ships are in town. On this trip, all I needed was a bed for the night. 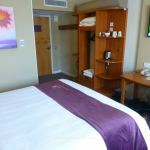 So ahead of my taster cruise on Queen Mary 2, I checked into the Premier Inn Southampton West Quay. 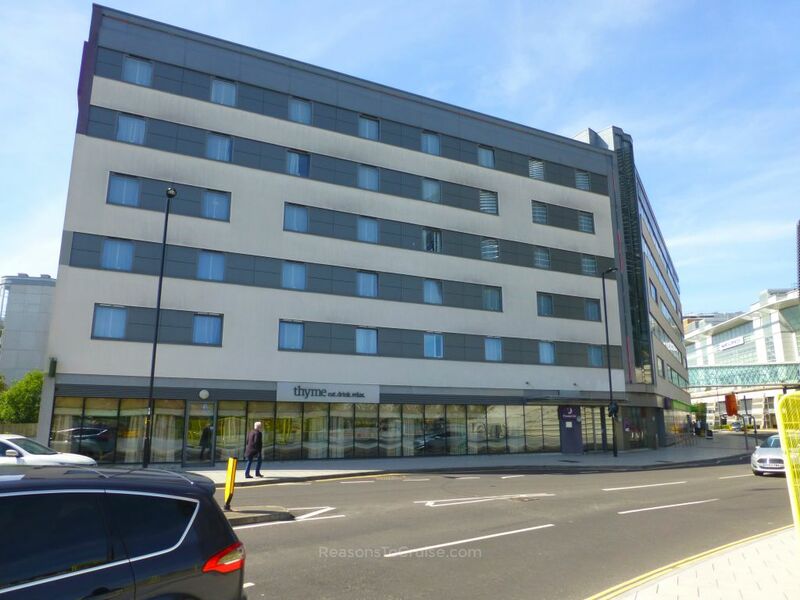 This Premier Inn property in a white and grey building sits opposite the large West Quay shopping centre in Southampton. There is a desk with a receptionist to one side, with self-serve kiosks behind. I made my booking online and was directed to check-in online a few days before I was due to stay at the hotel. There is no on-site parking, but there is a drop-off point at the rear of the hotel. Follow the road as if you were heading to the West Quay Shopping Centre multi-storey car park and the access road is on your right. 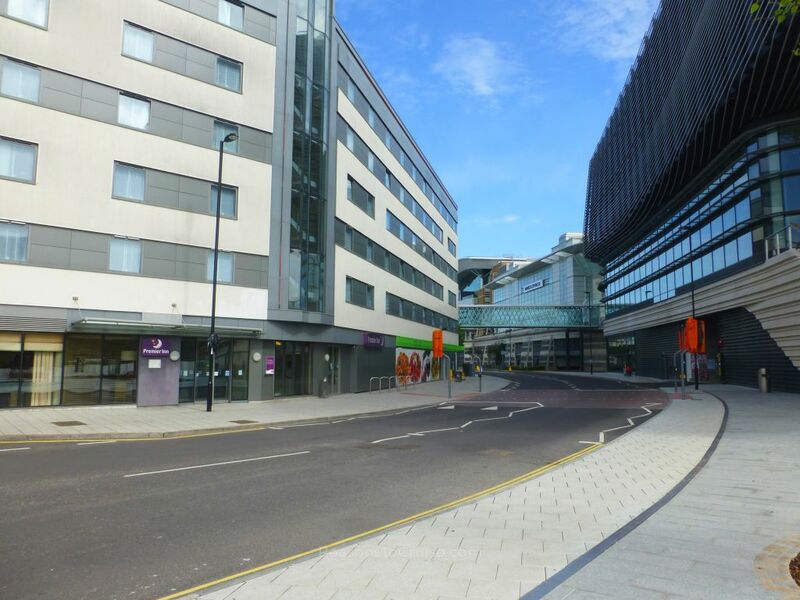 Overnight parking is available in West Quay's multi-storey car park for a fee of £5 per 24 hours. The hotel has an on-site restaurant, Thyme, and sits atop a small Coop supermarket which is incredibly convenient for drinks and snacks. Across the road is West Quay shopping centre, where you can find familiar high street brands and restaurant chains. If you arrive on a Sunday, do not expect the restaurants to open late as I did. If you make the same foolish mistake and are looking for an easy meal outside of the hotel, head to Leisure World opposite IKEA, where you will find both Frankie & Benny's and ASK Italian restaurants. The opposite site of West Quay Retail Park is where you will find TGI Fridays and McDonalds. Travelling as a trio, I booked a family room. Room 405 is at the rear of the hotel overlooking the entrance to the multi-storey car park and drop-off area. The room is a good size. A double bed conceals a pull-out single bed turning the room into a triple occupancy room. Both bed frames groaned at the slightest hint of movement, leading to an uncomfortable night. I only managed a couple of hours of sleep. A shelving unit tucks to the side of the doorway, with a table and wall-mounted television beyond. The double glazed window has an extra layer of glazing with a net curtain in-between, helping to keep the road noise to a bare minimum. The use of the air-conditioning unit is advised to prevent the room from turning into a sauna. The trade-off is that the unit is quite noisy, so if you are a light sleeper, it may keep you up all night. While the windows are insulated, the walls are relatively thin. Snoring travels, so while I could not sleep comfortably, I know my next door neighbour slept soundly. 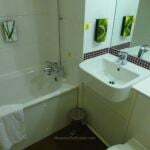 The basic bathroom is of a good size, with a bath with an overhead shower, a sink, and a toilet. Soap dispensers sit by the sink and shower. A buffet breakfast is available in the on-site Thyme restaurant at £8.99 a head (kids are free with a paying adult). Expect the standard range of options including cooked items for a Full English breakfast, continental options, and cereals. Costa coffee is available from self-serve machines as is a selection of fruit juices. The location of this hotel is ideal for cruise ships sailing from City Cruise Terminal (Berth 101 / Dock Gate 8). It's a short walk past Holiday Inn and the pyramid-shaped Grand Harbour hotel to reach the hotel on Harbour Parade. 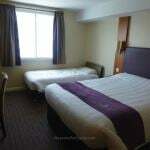 The price of my stay was very fair, and cheaper than most other hotels in the vicinity of the city centre. My three-year-old son was offered his choice of a book to keep when we checked into the hotel. This unexpected gesture was a nice touch, and he has read it many times over. The buffet breakfast was of a good quality. The hotel reportedly has free WiFi although I did not use this. Do not expect a comfortable night in room 405. The bed groans on every movement, and the air conditioning unit is quite loud. I could also hear snoring from the next room along, although road noise was minimal. Expect noise from the drop-off area early in the morning if you face the rear of the hotel as trucks make deliveries and empty the bins. This hotel is all about the location. 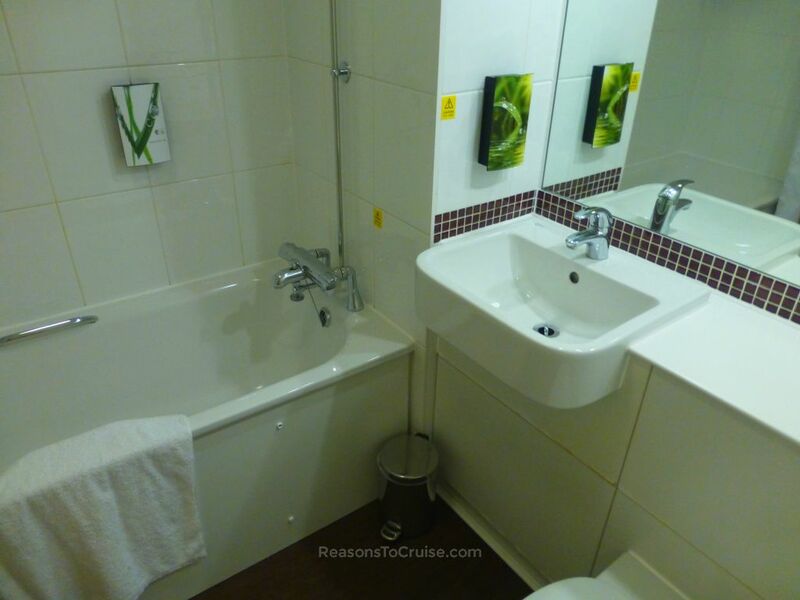 It is within walking distance to City Cruise Terminal and a short taxi ride to Southampton's other terminals. West Quay shopping centre, with its shops and restaurants, is literally on the doorstep. My room - and my lack of sleep - let the property down. Starting or ending a cruise in a groggy state is not ideal. That said, it was a good value price for my stay. My one-night stay cost just over £50 when I pre-booked a month before my stay, plus £8.99 a head for a buffet breakfast. Hotel details can be found here. Which Southampton hotels have you stayed in, and which would you recommend before or after a cruise? Leave your top suggestions in the comments section below. 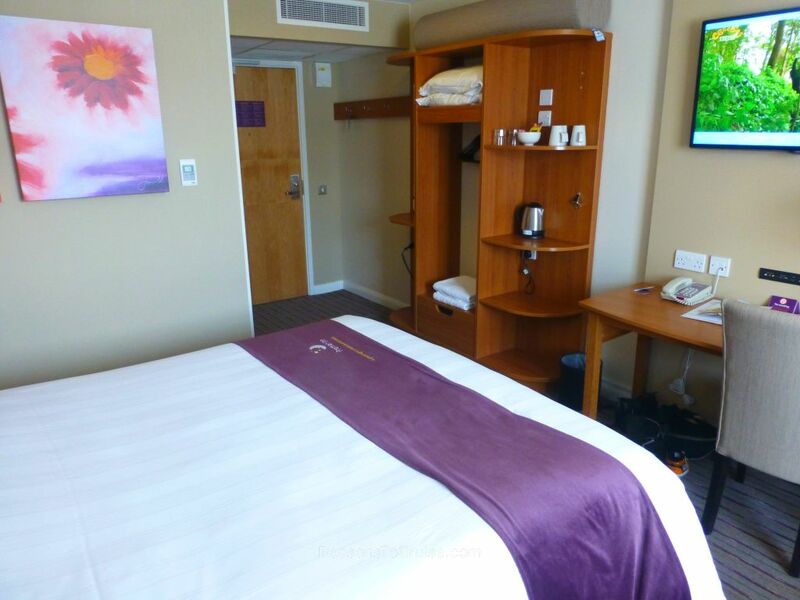 Disclosure: I paid in full for overnight accommodation and breakfast at Premier Inn Southampton West Quay. All opinions are my own. The location of this hotel is faultless, the staff are friendly and helpful, and the breakfast was good. Sadly, room 405 is not up to par, with a noisy bed, noisy air conditioning, and thin walls. For a night – and given the cost – it was bearable.